Push the boundaries of stagnant luxury, and be bound by nothing with JennAir. 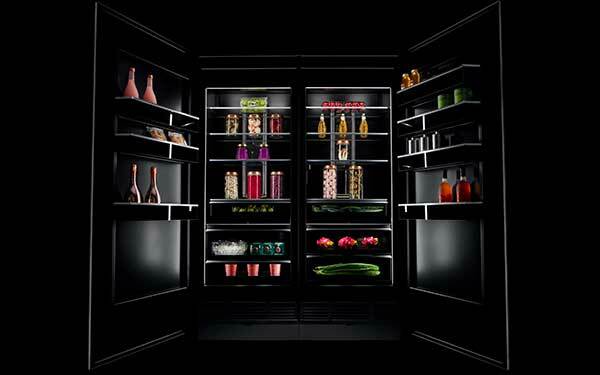 Available in virtually endless configurations, your kitchen can be customized to fearlessly reflect your personal style. With two all-new collections - Noir and Rise, JennAir has peaked the interest of our customers looking for something that challenges the old standards. These offerings from JennAir are so new, they’re set to debut in our showrooms in April. Sensuality and geometry collide in this daring new minimalist NOIR collection. This slick and seamless line features crisp silhouettes with inviting reflections for you to explore. With a keen attention to details, this collection embraces a new expression of luxury styling. Illuminated by over 650 LEDs, the dark obsidian finish erupts with reflective, high-contrast style. Ultra-quiet operation, impossibly precise control, and built-in connectivity converge for an invigorating experience. 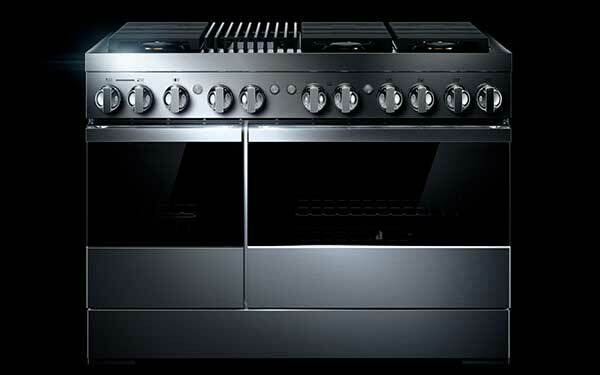 Seize the kitchen with 360º performance that eclipses every expectation of professional luxury. 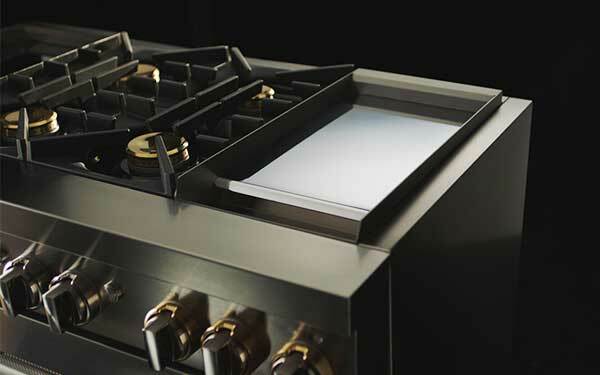 The all-new RISE collection features brass accents, heavy metal, and embraces a new expression of modern luxury. Inspired by jewelry and mixed metal trends, each piece is carefully crafted to disguise every vent, screw, and gasket so you can enjoy the beauty and power. 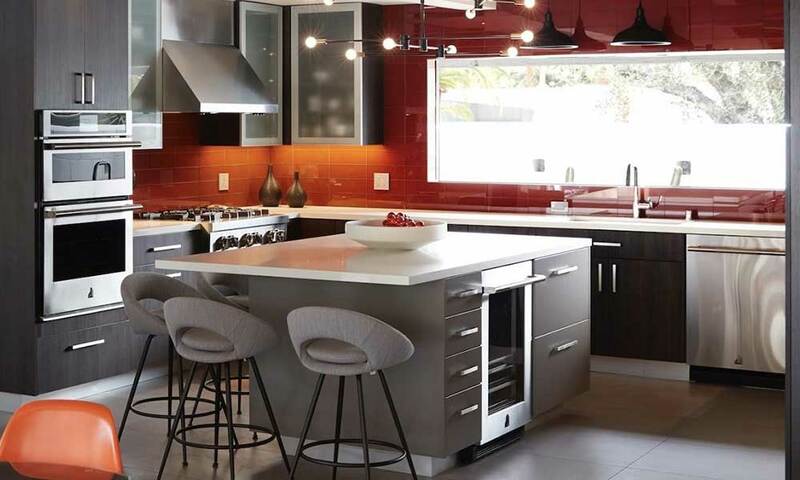 Remodel your kitchen for less, and save up to $2,000 when you curate your personalize kitchen experience with all-new JennAir appliances. Valid 1/1/19 - 6/30/19. When we bought the house, our kitchen was outdated and we wanted a kitchen that would be more of a fit for the family. I worked remotely from Boston with Matt Treptow at Airport Home Appliance through emails and phone calls for my new JennAir kitchen. I had to trust Matt to get it all done before we moved into the house - and he was really easy to work with. I love to cook breakfast for my kids everyday, and it's so much easier on my new JennAir range.